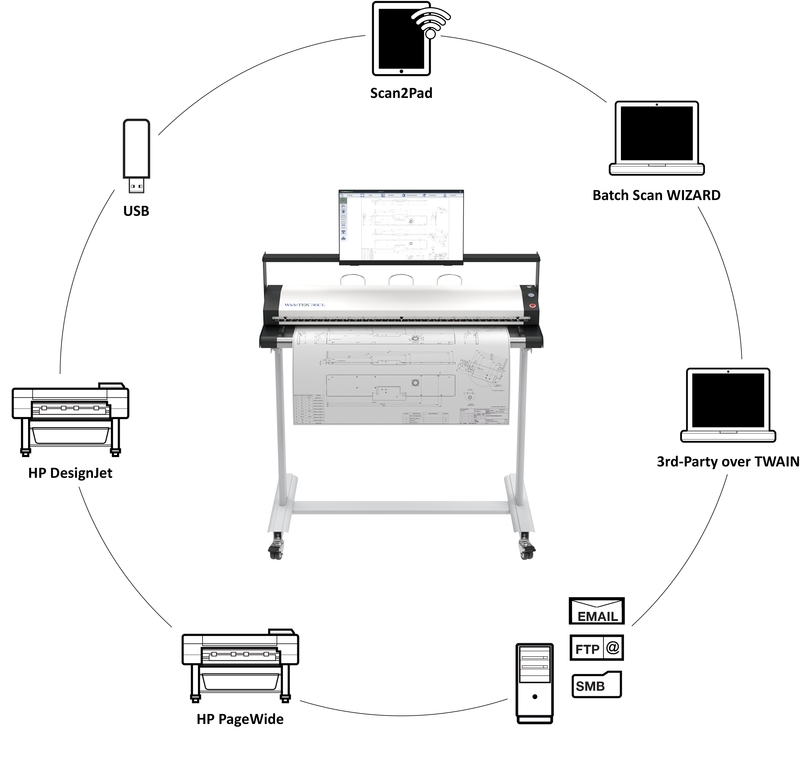 The WideTEK® 36CL-600-MF3 forms the basis of a powerful and high quality MFP system to scan, copy and archive documents at high speed together with the HP DesignJet and PageWide series of printers. The WideTEK® 36CL-600-MF3 features a built-in closed loop color calibration function, producing the best possible copies for your selected printer and paper combination. If you are planning to buy an MFP solution with an HP DesignJet or PageWide series printer, or you want to replace an old scanner in your existing MFP system, the WideTEK® 36CL-600-MF3 solution is by far the fastest color CIS scanner on the market, running at 10 inches per second at 200 dpi in full color. 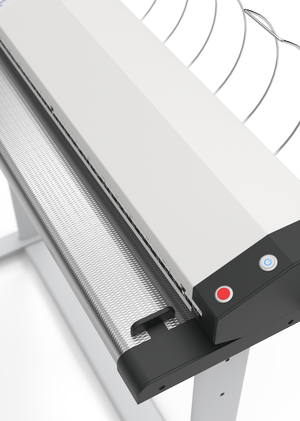 At the full width of 36" and 600 dpi resolution, the scanner still runs at 1.7 inches per second. The scanning speeds are tripled in black and white and greyscale modes but can be individually configured if required for example, to scan fragile, valuable documents. To see which scanner solution is best for your printer, refer to the Image Access Scanner and Printer Wheel.